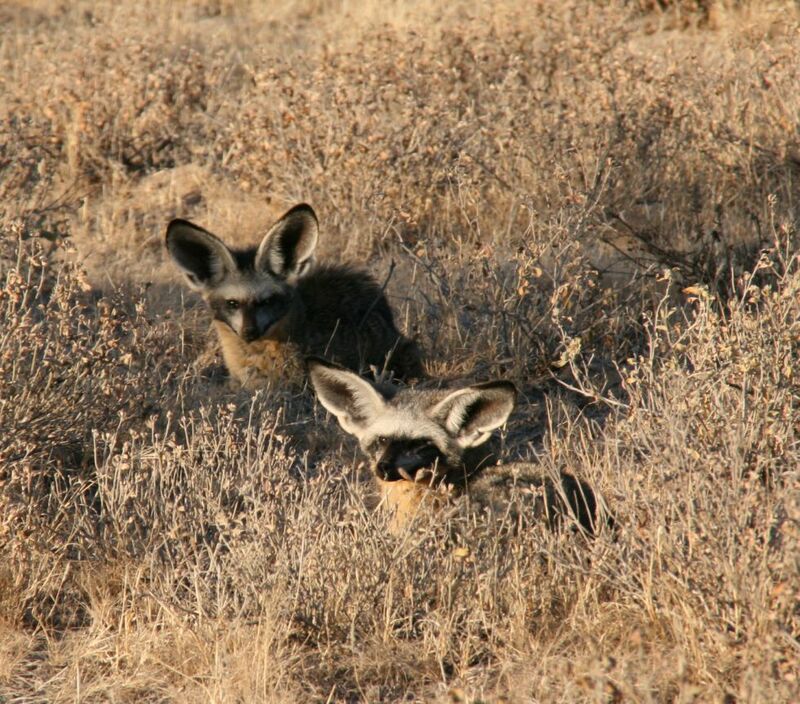 The Central Kalahari Game Reserve (CKGR) covers a large area of central Botswana, 50,000 km squared to be precise. It’s quite a contrast to the famous Okavango Delta but beautiful and captivating in its own right. The reserve is characterised by vast open plains, ancient riverbeds and saltpans. 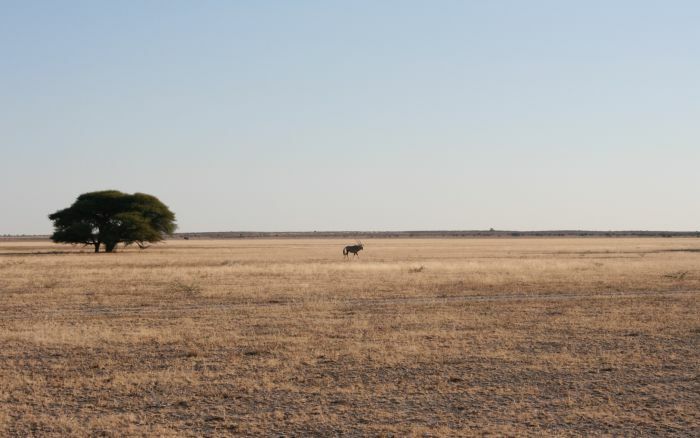 For some the remoteness is part of the attraction while for others it’s the big sky or the lure of the black-maned Kalahari lions. If you avoid full moon, the night sky can spectacular too. With no light pollution, the milky way is clearly visible along with other favourites such as the Southern Cross. 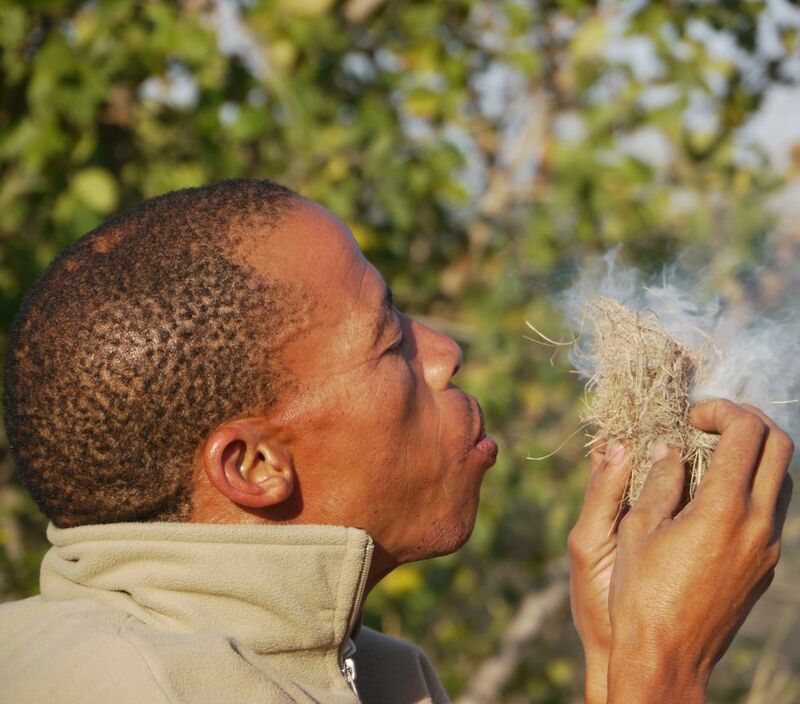 The reserve was set up in 1961 as a refuge for the San Bushmen. They have now mostly moved from their traditional lands to places on the outskirts of the park. Some of the lodges employ the San as guides, and from them you can gain a good insight into their traditional life, their beliefs, and skills they have honed over the centuries to survive int his hostile environment. Spending time with the San is a fascinating and humbling privilege. The desert comes to life with the summer rains, as a rough guideline, this is December to April. In the north, where most visitors go, the landscape transforms from a dry and dusty brown to an area of green grasslands. This is a time when food is plentiful for the grazers and most have their young, it’s also a time of abundance for predators. Desert-adapted wildlife roam the plains, many have evolved and learned to survive on little or no water and a scarce supply of food. The gemsbok can get the water it requires from desert plants. Come the rains, when food is more abundant you’ll see an increase in wildlife with herds of wildebeest, ostrich and giraffe in good numbers closely followed by predators. Brown hyena and leopard are resident in the CKGR but the chances of spotting them are slim, but if you do, it’s a sighting you won’t forget. Whilst you can self-drive and camp in the CKGR, it’s not for the feint hearted, and we would only recommend this to experienced 4x4 drivers. There are several lodges in various locations of the reserve, which makes it more comfortable for those wanting to experience this absolutely stunning and remote wilderness. Check with our knowledgeable consultants and ask about including the Central Kalahari Game Reserve in your Botswana itinerary.